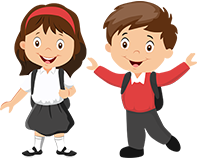 Ysgol Pen-y-Garth has an ambition to become a genuine extended school providing a range of facilities to the wider community. Our sports hall is used by a wide range of sporting clubs and community groups, including during the holiday periods when it is used by the very popular SuperStars holiday camp. 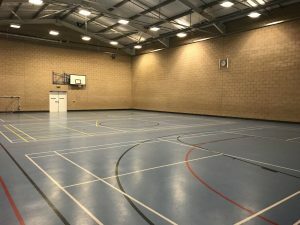 Our sports hall is a multi-purpose 3 court badminton hall catering for all sports including badminton, basketball, netball, cricket, football and general sports. The sports hall is also available to book for children’s parties. The facility has male and female changing rooms with shower and toilet facilities. There is one disabled cubicle, which has accessible changing facilities a shower and toilet. Externally there are two disabled parking bays and parking spaces available to community users in the large school car-park.